A guest post by Linda Grandes. In the olden days, blogging was more of a personal journal; whereas today blogging is a social outlet. It is a major tool used to convert website visitors into paying customers. Internet and online technology is ingrained into our daily lives, making it impossible to ignore the benefits of blogging or having a website. However, there’s no need to be a computer whizz-kid to create a blog. Websites such as Fairy Blog Mother and software like WordPress make it easy for you. A blog is not the same as a static website. It has the ability to receive comments on its content. A website is infrequently updated, whereas a blog receives fresh content daily, weekly or hourly. Bloggers write this content to create awareness on topics they feel are essential for the community or as an outlet for sharing their innermost feelings. Readers gain access to this content via links on business websites, social media platforms, emails or e-newsletters. Blogs serve as a social outlet and a money generator. Business owners use blogging as a tool to market their brand. A business blog uses search engine optimisation to maximise its ranking and to drive traffic to the business website. As well as driving traffic, blogs build customer trust by engaging with them in order to convert website visitors into purchasing their services and products. Word of mouth on social networks can be very powerful. Referrals from happy customers lead to an increase in sales. A blogger can earn commission from customer clicks, affiliate links or adverting banners. Others earn from sponsored posts that offer reviews, feedback, and opinions. Blogs gradually disintegrate traditional advertising by by-passing advertising agencies and communicating directly with the customers. You have written informative content, your website looks professional and attractive, you’re gaining a substantial number of visitors, but you still struggle to make a sale. Traffic with no sales can be frustrating. However, you need to understand not every click is a potential customer. You cannot control how people buy things. Research shows the average conversion rate is 3% on most websites and is no use focusing only on traffic. A successful website has the ability to convert website visitors into sales. The marketing techniques are focused on driving the customer to the buying stage where the final goal is the actual purchase. Most business owners make the mistake of collecting email address without realising each subscriber is unique. This means they are eligible for different sales funnels. These are new customers, potential customers and old customers, all hoping to make a purchase. Different subscribers need different content. Some are looking for discounts or free books to help them understand your business. Others may be ready to make an instant purchase. Monitor the behaviour of your audience to provide the most relevant content. Get help from ProEssayService.com to draft the professional content of your sales pages. Present a landing page with an offer that fits their needs increases the chances of making a sale. An elevator pitch is a brief summary that describes why your service or product is the best. It aims to persuade the subscriber to develop an interest, therefore an excellent pitch should be memorable and exciting. These persuasive statements should also interest you as well, to allow you to showcase the value of the business. Communicate your unique selling point or ask an open-ended question. Test different pitches, both long and short, to track which works best to convert website visitors into buyers. It’s important to create a positive first impression to win the customer. Determines the foundation of your relationship in your first email. Personalise it by thanking them for sharing their email address, and tell them what they should expect in the following emails. Offer them a welcome coupon to lure them into making a sale. If you are unable to develop a welcoming email, use resources like BuyProfEssays.com that provide an online writing, proofreading and editing service. Focus on the customer experience when setting up a customised landing page for each demographic. For example, if you are selling ladies wear, create a female-friendly landing page. You can post relevant images on social media and provide a link to direct users to the landing page. Create guest accounts that avoid forcing new customers to register before making a purchase. Use scroll-triggered lightboxes that grab your customer’s attention without obstructing what they are reading. The lightbox should stay fixed at the corner of the webpage when the user is scrolling. Intrusive pop-ups that try to engage the customer just seconds after landing on the site are annoying. Program the pop-up to appear after the customer has read more than half of the content, or as they make an action to leave the page. Let your captivating headline and content quench their interest first. Reduce the time taken for the checkout procedure. Your objective is to ensure there are no obstacles that may cause the customer to abandon it at the last stage. Avoid challenging captcha puzzles, and make sure the pages load within seconds. Remove any hurdles diminish the customer experience. Repeatedly test the site to ensure everything runs smoothly. The human brain responds quickly when triggered by a deadline. Urgent deadlines are an excellent way of making people act fast. Offer discounts or Black Friday offers that expire within a few seconds on your webinar tickets or eBook. Include a countdown timer to increase the urgency. Discounts and other great offers should be designed to make it hard for customers to resist. Social websites like Facebook and Buzz Feed use quizzes to engage their users. Incorporating tools like Snap App among others is an excellent way of creating interactive content. These tools help you determine a casual visitor that is not ready to commit as they will leave in a hurry. However, there are visitors who may be undecided on what they are looking for, so engaging them in various activities builds trust for your service. 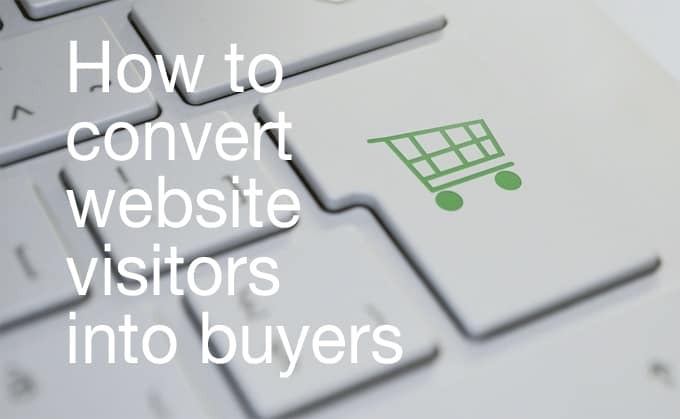 Different interactions are more likely to convert website visitors into sales. Too much competition means one tip may not provide the necessary results. Experiment until you arrive at the technique that works for your business. Sites like Crazy Egg offers tools that will help you understand your audience and predict their needs. Linda Grandes is a professional writer who loves to help students. She has spent the majority of her career in the writing industry, gaining experience in editing and writing. 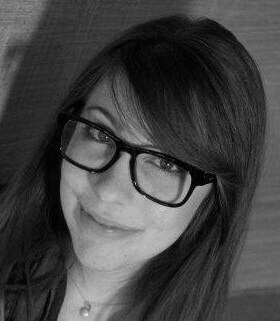 Currently, Linda is a blogger at Studyton.com and Head of CD at WOWGrade.com. Linda also enjoys reading books and travelling.